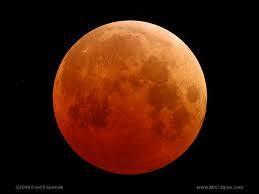 This year we had a lunar eclipse during Yule. I heard that this was the first one to fall on yule in four hundred years. So I thought long and hard about what I wanted to do for a circle or working. I chose to do a journey. The lunar eclipse is when the moon in the north node of the moon, which means that the energy of the time is about your karma. Any working should be to either understand or heal karma. I chose to do my meditation on what I need to know. The journey took me to my inner temple, where my guide and totem met me. They directed me to a silvery translucent staircase. I climbed up and up until I got to the moon and through it to a dark garden filled with strange plants. There the goddess came to me in a very artistic representation. Instead of being like a human she looked as if she had been drawn on scratchboard with white outlines detailing her shape. I reiterated my purpose to know that which I needed to know. She showed me and image of a seed growing into a plant. She spoke of the fact that whether or not the plant grew or died it was still the plant it was born as. Factors from the outside may shape it, effect it, nourish it, wither it, or kill it but they would never change it’s nature or virtue. I asked whether it could be breed it to make its offspring better. She said “Yes but The new plant would be in the same boat. The seed will always be the plant it was born. “ She advised that I embrace my nature and strength, to work through my weaknesses from a place of my own nature. Don’t worry about that which one can’t control because it cant change the internal nature of whom one is. She gave me some more advice about some personal things and told me to hone my focus and not waste energy. I thanked her for these messages and returned to my inner temple. Where my guide showed me someone from my past. This old friend, and sometimes enemy and I spoke of forgiveness. How forgiveness does not mean that I will forget what was done or stop it from repeating. Then I sent forgiveness to this person. It came out watermelon colored. Both a deep pink and a green. I heard a message about a crystal that would help me with forgiveness that had watermelon in its name. I asked christopher after the meditation and he said it was perhaps watermelon tourmaline. During the holidays after this meditation, my mother and I were talking about how it is still hard for me to talk to our other relatives about the way that my life has come out. I joked how explaining my self and who I am seem to be my lot in life. She replied” but didn’t you choose all of it?” I thought for a moment and was reminded of this meditation. I replied:”No some of it was just my nature and to choose otherwise would have been detrimental. One has to embrace there nature.” Though it definitely brought up more thoughts on the nature of self, choice, and the things we can’t control. I recognize my mom was right in a way. I didn’t choose to be gay but I do choose to embrace that side of my life. Much like I choose to breath and live as my nature as a human. To do otherwise would be to choose to wither.